Traumatic Brain Injury (TBI) results from the sudden application of mechanical forces to the brain. 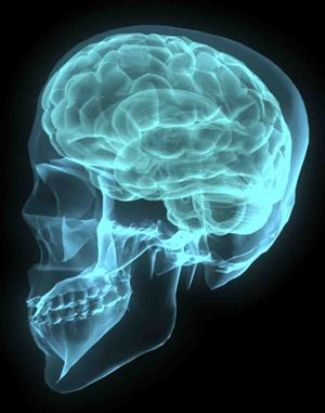 TBI is the leading cause of acquired brain injury (ABI), affecting two in every 1000 people. TBI affects roughly three times more males than females. Those between the ages of 15 and 24 years are at the highest risk of sustaining a TBI. An open head injury occurs when the dura matter, a protective membrane covering the brain, is penetrated by an object. Open head injuries account for less than 10% of TBIs. A closed head injury results from rapid acceleration and deceleration forces. Damage to the brain is caused when it moves within the skull vault and collides with the inner surface of the skull, especially along the bony irregularities at the base of the skull. The frontal and temporal lobes of the brain are particularly susceptible to bruising from these forces. Another mechanism of injury is diffuse axonal injury. This is when nerve cells in the brain are stretched and sometimes torn due to the rapid acceleration and deceleration forces. This occurs more globally throughout the brain, and especially in areas with abundant white matter tracts. Secondary complications such as bleeding, hydrocephalus and swelling of brain tissue can cause further damage.